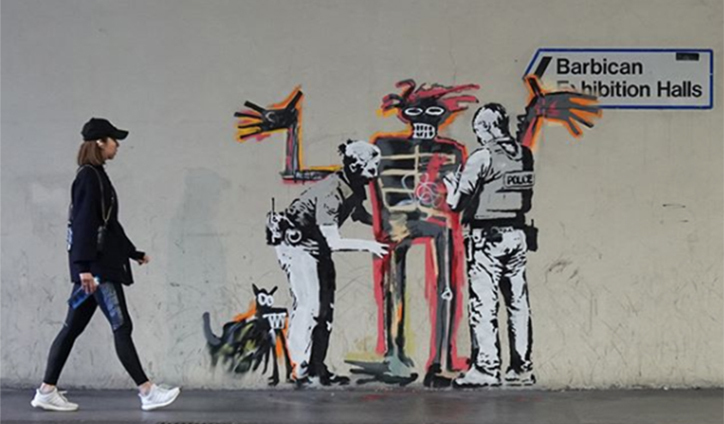 The ever elusive British street artist known as Banksy has confirmed via Instagram that two new artworks on the walls of London’s Barbican Centre are his creations. One image is of a ferris wheel with people lining-up at the ticket booth and crowns replacing the ride’s passenger cars. 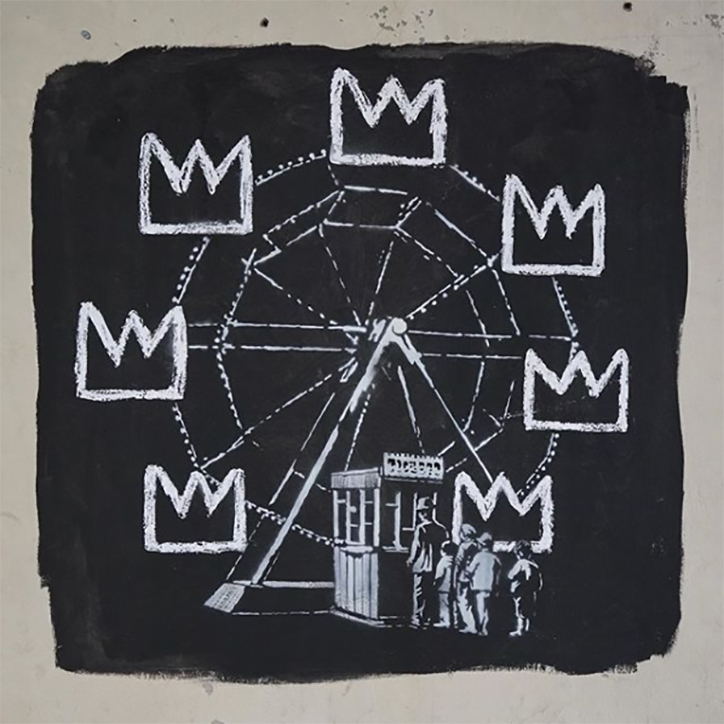 The second piece is a reference to the late artist Jean-Michel Basquiat and an upcoming exhibition at the Barbican titled Basquiat: Boom for Real. This mural seems to be a commentary on how the black artist would be welcomed by London police today. This entry was posted in Art, Europe, Museums, USA and tagged Banksy, Jean-Michel Basquiat, London, Street Art. Bookmark the permalink.